Re: Sale of Sonic Services Limited and Sonic Door Services Limited. The business started trading in 1994 as a contract manufacturer of UPVC doors and windows, their core market being the manufacture and supply of UPVC windows and doors into the very demanding and high specification public and housing association sectors. Additionally, they have supplied large numbers of private customers with window and door replacements together with conservatories and porches. The business operates from Leasehold premises in South Wales, the MD and major shareholder Mr (KAZ) Kafimierz Szymazak was looking to exit the business in order to reduce his responsibilities and in preparation of his forthcoming retirement. He initially approached the company solicitor Mr Bob Jones from Pinstripe legal in Chepstow and asked whether he could recommend some competent and approachable business brokers to support him in the sale of his business. Alistair Glaze from Business Partnership in Bristol was instructed to support Kaz in the sale of his businesses, soon after instruction credible offers were received for the business, whilst realistic these offers were not accepted due to the fact that during negotiations a large contract opportunity came to table for the business; the owner felt that if successful this contract would improve their exit value and prospects. The business was therefore taken off the market; two years later Alistair was contacted to put the business back on the market at a substantially higher value. 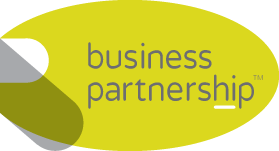 In the interim years, Business Partnership had opened a new office in Cardiff and rebranded as Business Partnership Corporate (BPC) in order to attract more corporate clients and buyers. It was agreed by the client that Alistair and the new Welsh partner Michael Wright would both work on the project thereby providing Alistair’s considerable experience and Michael’s local knowledge, enthusiasm and proximity to the facilities in Newport. The sale was complicated by the fact that there was both a trading and holding company involved and both companies had to be sold to maximise Entrepreneurs relief for the vendor. Furthermore, there were substantial cash reserves in both companies, the ‘free cash’ had to be sold to minimise personal tax liabilities. The purchaser was already known to BPC as he had previously enquired about a number of different businesses, initially, it was thought that this type of industry did not appeal, however after some persuasion, discussion and meetings the purchaser was provided with a compelling argument as to why he should seriously consider this opportunity. It goes to show that it is not the sector or location of the business that matters it is all about whether the target is fundamentally strong and sustainable. This is clearly the case and has opportunities for growth. The purchaser is based in the Midlands and has an electronics background. Core to BPC’s ethics is its motivation to support the client throughout the whole process which involves face to face meetings and tri-party discussions, the client was never exposed and all negotiations were handled through a combination of Alistair and Michael. A commercial deal was struck which achieved all the vendor’s objectives, and through discussions with their accountants we maximised the day one cash position and took advantage of all possible tax breaks. We also suggested that they secured some pensions advice prior to completion which secured a considerable corporation tax liability and provided for the vendor’s retirement plans. Once a deal was agreed solicitors were instructed and the due legal process commenced, fortunately both Alistair and Michael had an excellent relation with the vendor’s solicitors such that any complication or potential deal-breaking issue was brought to their attention (and there were several) and resolved by them through tri-party discussion and compromise. The shares in both companies were purchased and the sale completed within 6 weeks of solicitors being instructed. Kaz has secured a very positive outcome; he has sold his shares, received a substantial cash sum, relinquished his responsibilities and secured a very lucrative fixed term service contract for the next three years. He can now contemplate his retirement with an enhanced pension pot, secure fixed term employment and substantial personal cash reserves… Good luck!. BPC were involved throughout the process to guide him on what was a very positive outcome.